I have a long time tenant with a lease renewing. 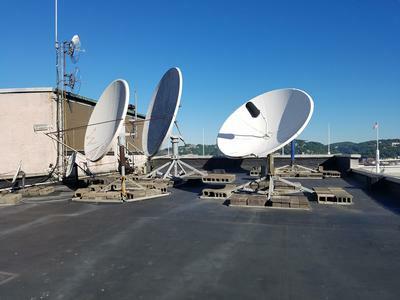 They are a radio station with over 6 radio satellite dishes on my 12 story rooftop building and rent for this space was never put into a lease. They are now looking to renew the lease and I do not know what would be a "fair rate" for leasing this space? They will pay $19.50 psf for lease space in the building. What should I charge for the roof????? HELP!